Meet Dp’s, a new range of sewing patterns by Dp Studio. Elaborated for beginners these sewing patterns are easy to understand and will help you create an edgy wardrobe without being an expert! Try out with this romantic lightweight panel dress Le 9005. 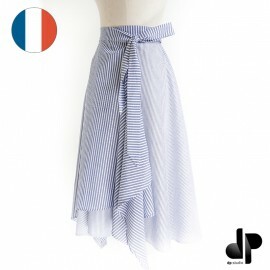 Meet Dp’s, a new range of sewing patterns by Dp Studio. Elaborated for beginners these sewing patterns are easy to understand and will help you create an edgy wardrobe without being an expert! Try out with this romantic asymmetric frill top Le 5007. Meet Dp’s, a new range of sewing patterns by Dp Studio. Elaborated for beginners these sewing patterns are easy to understand and will help you create an edgy wardrobe without being an expert! Try out with this boho tunic or dress sewing pattern Le 5002. Meet Dp’s, a new range of sewing patterns by Dp Studio. Elaborated for beginners these sewing patterns are easy to understand and will help you create an edgy wardrobe without being an expert! Try out with this cute tie-neck blouse sewing pattern Le 5001. 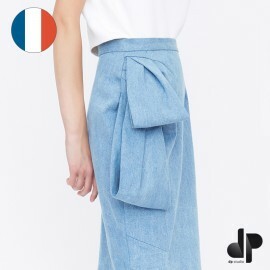 Meet Dp’s, a new range of sewing patterns by Dp Studio. Elaborated for beginners these sewing patterns are easy to understand and will help you create an edgy wardrobe without being an expert! Try out with this casual playsuit sewing pattern Le 3001. Meet Dp’s, a new range of sewing patterns by Dp Studio. Elaborated for beginners these sewing patterns are easy to understand and will help you create an edgy wardrobe without being an expert! Try out with this cute asymmetric wrap skirt sewing pattern Le 4001. Modern and minimalist, these sewing patterns are amazing !